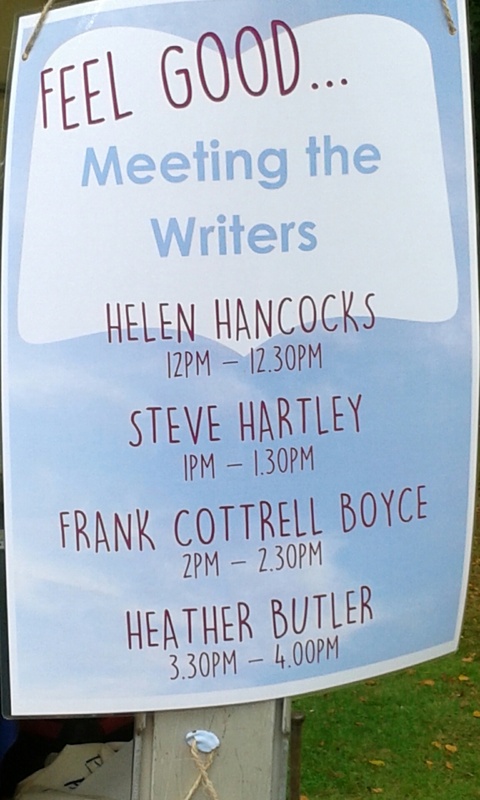 I was in Manchester recently for the Denzell Garden’s Book Festival. It’s a great event with a lovely family atmosphere and story telling, face painting, competitions and amazing food wagons to entertain – as well as the writers. While I was in Manchester I went to the Lowry Art Gallery and came across the instillation I used as my featured image. It was brilliant! A huge plastic ball (about three metres tall) was filled with helium gas and had charcoal bobbles sticking out of it. 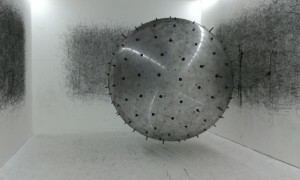 Visitors were invited to bounce the ball and where it touched the white walls of the enormous room it was in, random marks began to make shapes and patterns. There was a real sense of art being made with anyone and everyone being part of it. I like October. I like the colours and words like russet and autumnal. There’s something safe and predictable about the seasons. It doesn’t matter what’s going on in the world, the seasons will just keep on coming along. I also like October because I go to Florida for three weeks for a writing break. I’m working on a book which I have set in America so will be doing a lot of research and listening to how Americans speak. So enjoy your half term holiday. If you are looking for something to do, see if you can make a list of words we use a lot at different times of the year – like fireworks, stockings and daffodils. That charcoal-studded ball sounds amazing! As does your writing break!